Need a touch of adventure in your life but still want to be back at work bright-eyed and bushy-tailed on Monday morning? 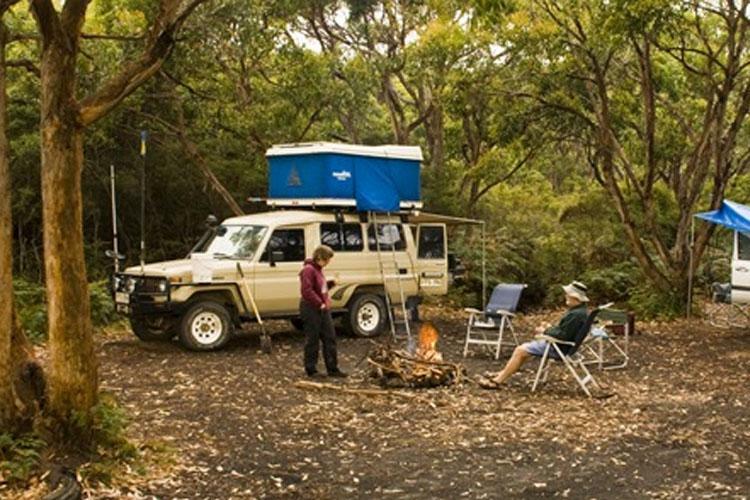 Get out and enjoy nature with our top picks of some of the best camping spots near Hobart. 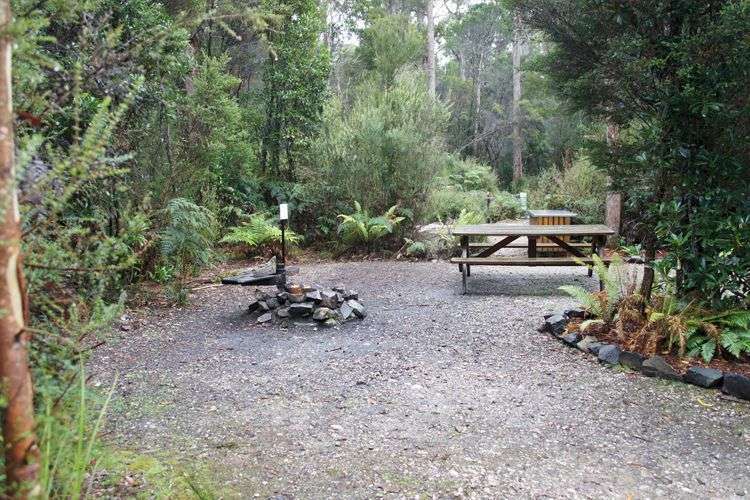 On the banks of the Huon River, set up camp deep in the majestic towering Tahune Forest. The campsite is just opposite the Tahune Airwalk where you can experience the forest amongst the treetops 20 – 30 metres in the air. 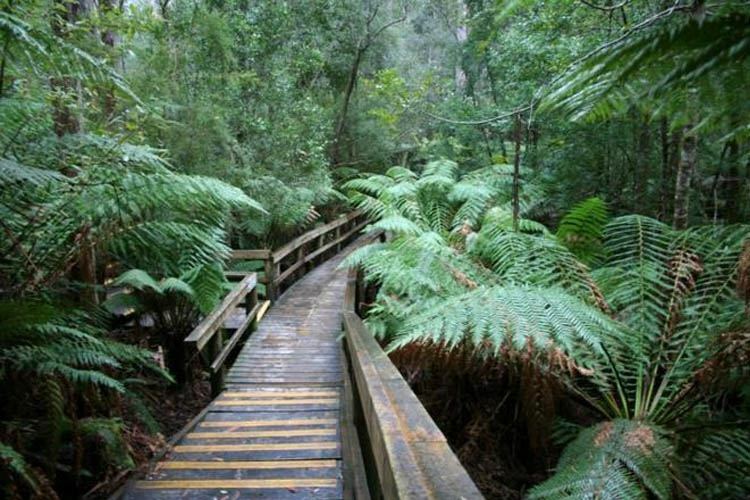 There are a great many fantastic walks to explore around the area, with a one-hour swinging bridges walk and a tranquil leisurely 20-minute Huon Pines loop that’s well worth a wander. If camping outdoors doesn’t take your fancy, there are also self-contained cabins and a comfortable lodge to stay in at Tahune Airwalk. Camp by the beautiful Esperance River at the Hastings Forest campground. The scenery is out of this world, and with picnic tables, shelters, campfire rings and the soft babbling of the Esperance River to lull you to sleep under the stars, this is a great spot to escape. Head south for 40 minutes and explore the incredible Hastings Caves and Thermal Springs. With a bit of effort, you can hike a few hours to the picturesque Adamsons Falls, but be careful as the tracks are a bit overgrown and can be a little confusing to follow at times. 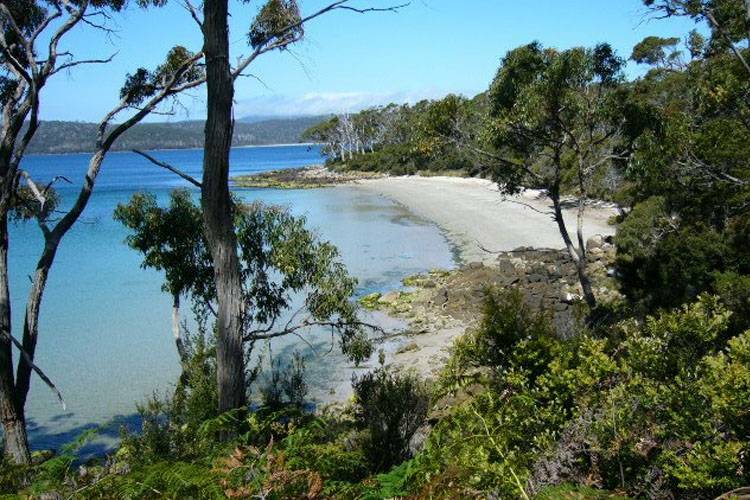 The thin strip of land that connects the north and south parts of the popular Bruny Island is known as The Neck, and it provides a unique habitat for native Australian flora and fauna. Secure your spot amongst the shady trees behind the dunes at the Neck Reserve campground and hit the fairly secluded nearby beach. Come by during the warmer months for your best chance at spotting wildlife, and at dusk, look out for birds or keep an eye out for the Fairy Penguins making their way up the beach. Head north to the Bruny Island Neck Game Reserve for the three(ish)-hour Cape Queen Elizabeth walk that passes by the Big and Little Lagoon, breath-taking lookout points along the coast, dolerite rock formations below Mars Bluff and finishing at the cape with some spectacular views. Almost at the southernmost tip of Tasmania, Cockle Creek feels like it’s on the edge of the world. Camping at the remote and secluded spot is available along the Recherche Bay and Southwest National Park with basic facilities, but be sure to come prepared as the closest petrol and shops are 20kms away. Enjoy a leisurely stroll along the beach to the whale sculpture and learn of the region’s whaling history, or go for a hike further afield to Fishers Point or South Cape Bay. 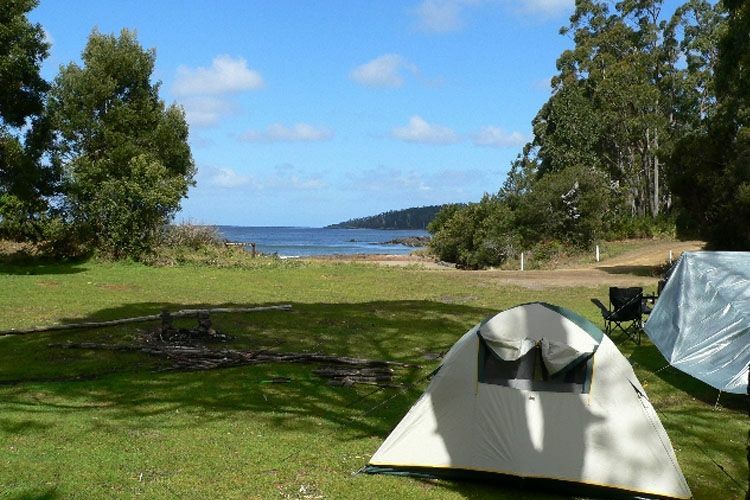 Set up camp in South Bruny National Park along Cloudy Bay or Jetty Beach for a picturesque base to explore the southern part of the island. Bring your boat and check out the magnificent Friars Rock formations or head across to Partridge Island. Cloudy Bay is particularly great for experienced surfers, while Jetty Beach and Adventure Bay are more sheltered and offer a lovely spot for a swim. Take a walk to Cape Bruny Lighthouse which is the longest continually staffed lighthouse in Australia, try a one to two-hour short hike, or a scenic day hike – the choice is yours! Have you been a happy camper? Let us know about your adventure on True Local!